For liberals, President Donald Trump is a harbinger of the decline of the Republic, and their wrath was evident. 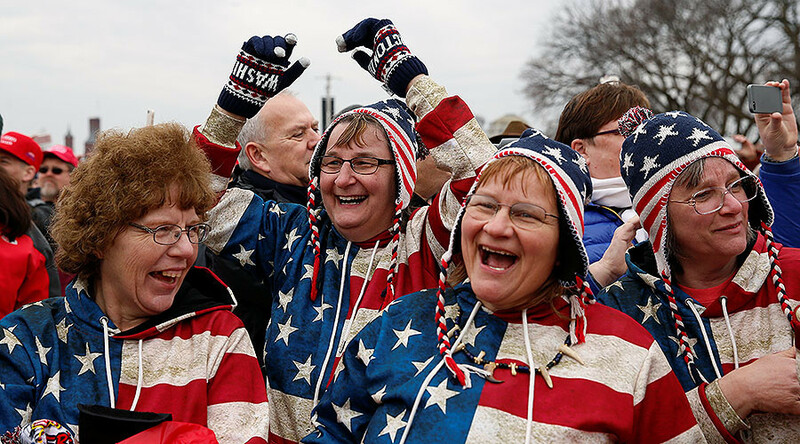 For conservatives, he augurs a return to American pride, growth and optimism. Both were captured pictorially during the inauguration. It's a stark image for a car-driving nation. A limousine parked on 13th Street NW, three blocks from the inaugural parade route, set upon by activists. With windows smashed, it was sprayed with graffiti with the circle-A anarchist symbol and "We the People," in gold paint and set on fire. The presidential state car, meanwhile, made its way along Pennsylvania Avenue. 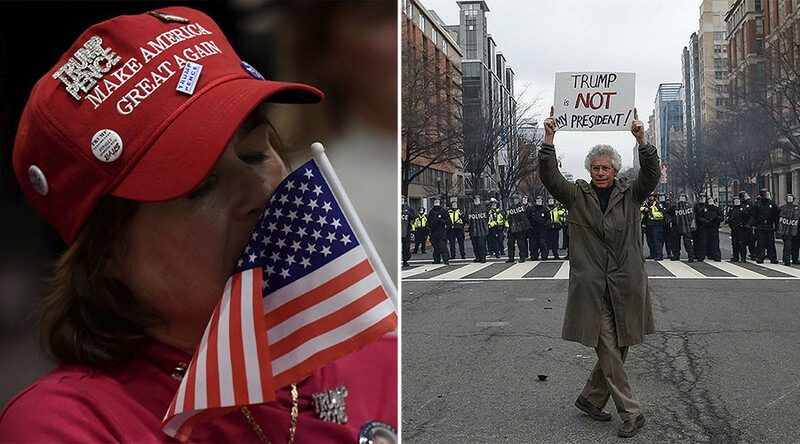 Anti-Trump protesters took to the streets. While Trump supporters went to the Mall. Protesters cast their own salutes of raised fists in solidarity. "My grandmother is 96 yrs old & she might die not knowing if everything she sacrificed for was worth it." The national capital's commercial property received activists' attention. While the nation's Capitol building was covered with American flags. Surprise punches landed on the chin of white nationalist leader Richard Spencer. While pepper spray was used against protesters as an order for the crowd to disperse was issued by DC's Metropolitan Police.